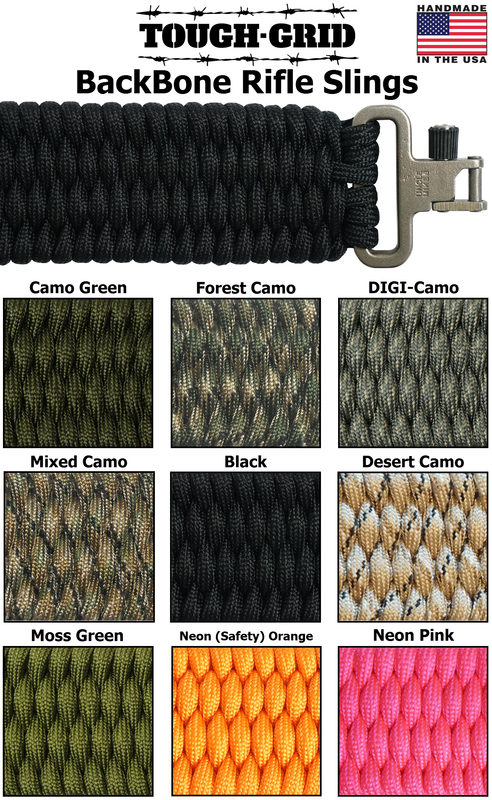 Premium paracord rifle slings hand-made in the USA with 750lb test type IV Mil-Spec TOUGH-GRID paracord and swivels! 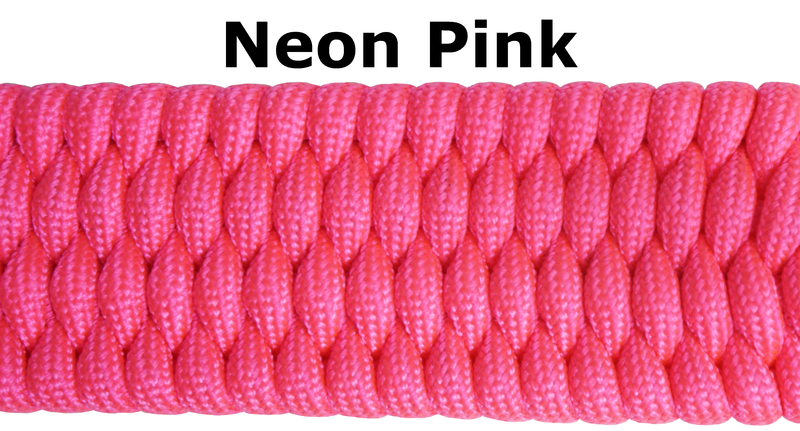 Our 750lb paracord is genuine Mil-Spec (Military Specifications) and 200 pounds stronger than the typical 550lb paracord! Our Mil-Spec swivels are the same swivels purchased and used by the US Military. Get a BackBone! 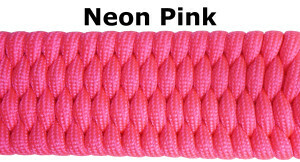 These slings are hand-made with 750 pound TOUGH-GRID paracord. There are 3 different color options: Black, Forest Camo, Desert Camo, Mixed Camo, Neon (Safety) Orange, and Neon Pink. TOUGH-GRID makes excellent products and their BackBone rifle slings are no exception!